T20 World Cup 2016 Live India vs Pakistan match at Kolkata. 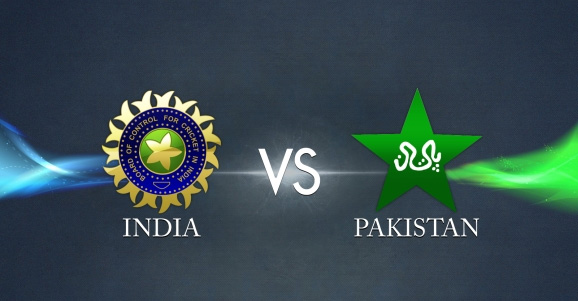 India vs Pakistan always been a special match for cricket lovers from both side, both teams are traditional competitors of each other. India has lost its first match against New Zealand to overcome from it Indian players have to win this match. India and Pakistan played six matches in Cricket World Cup always India dominate over Pakistan. Kolkata people are very lucky to be part of this match because of himachal CM not sure about security reasons of this match after that this match location switch to Eden Garden. India – In the last couple of months Indian players give a massive performance against Australia, Sri Lanka, Pakistan and Bangladesh. India has cleaned sweep against Australia and won a T20 series against Sri Lanka or win Asia Cup 2016. In T20 first match India team didn’t maintain its momentum against New Zealand team, the past is passed Indian team will revive itself from the win over Pakistan in this match. Eden Garden is always been special for India team. So Let see India will win against Pakistan or not! Pakistan – Pakistan team has a good come back after Asia Cup 2016 in T20 World Cup 2016. Pakistan has taken revenge of Asia Cup 2016 Defeat from Bangladesh team. Pakistan Skipper Shahid Afridi has come in form make Pakistan build a strong total against Bangladesh. Afridi minted 49 on 19 balls and took 2 important wickets. Now that’s India, Pakistan Skipper believes Pakistani fans for the win against India. Pakistan simmers Aamir done a good job against India in Asia Cup 2016 in its first took 2 wickets and create problems for the Indian team. Cricket Lovers can enjoy the match live stream on Mobile. T20 World Cup has started two teams qualify for group matches Bangladesh or Afghanistan. This world cup Broadcasting rights had distributed to the different broadcaster, Cricket lovers can enjoy live streaming of all matches of T20 World Cup 2016 on Hotstar App. India vs Pakistan Cricket World Cup 2016 Match Schedule. India - MS Dhoni (c & wk), Rohit Sharma, Harbhajan Singh, Shikhar Dhawan, Ajinkya Rahane, Yuvraj Singh, Virat Kohli, Ravindra Jadeja, Pawan Negi, Hardik Pandya, Ravichandran Ashwin, Jasprit Bumrah, Ashish Nehra, Suresh Raina, Mohammed Shami.